Do you need Heavy Duty Towing? Sometimes, a small little tow truck isn’t going to be enough for the job. For those kinds of situations, our large collection of vehicles have industrial-grade equipment for industrial vehicles. 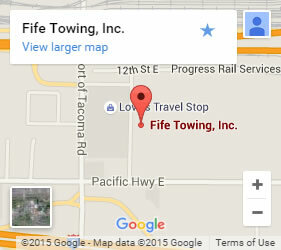 If you’re in need for heavy duty towing in Bonney Lake, Fife Service and Towing can take care of you and your vehicle and make sure both of you make it home safely. Get a little too bold on a tight turn? Did you accidentally end up in Bonney Lake instead of at the lake? For cases like these, a small, limited-power tow and hitch might not cut it. And thankfully, it doesn’t have to. Strong enough to pull out a car that’s underwater, our heavy duty winch system won’t crack under pressure. 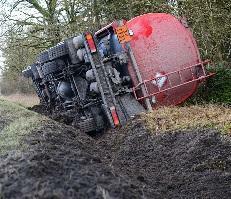 Powerful enough to lift both semi tractors and trailers, you can be sure that if it’s possible, we’ll recover it. How do I know if I need heavy duty towing services? If your car is in the water, it can be difficult to pull out. If the towing system isn’t strong enough, there’s the possibility that the truck will end up in the water itself. Our commercial-strength trucks make sure that doesn’t happen. 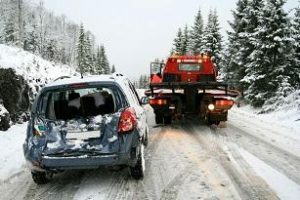 Slippery terrain like ice, mud, and others can make it hard for the tow truck to gain enough traction to operate properly. Our all-weather tires can handle any surfaces they touch, meaning you don’t have to worry about us getting stuck beside you. In cases where the vehicle is hard to reach, such as off an edge or a bridge, it takes a lot of power to get it back on the road. For those situations, we have a crane service that can pick up your vehicle and get it back to you, so you can get back to what matters. While we can handle the big jobs the other guys might struggle with, we’re also there for the little things. From righting a semi-truck to lockout assistance to getting you a can of gas, we’re full-service road helpers that want to see you and your vehicle make it home happy and healthy. If you need our help, give us a call right away, and don’t forget we also have a coupon available for $5 off your service!